And if you’ve never seen these guys play, be ready to be astounded by their heady arrangements of well-worn holiday tunes, whether you celebrate Christmas or not! In addition to the usual Christmastime traditions, I’ve been learning all-about Hanukkah this year, having purchased a menorah at a local Jewish Community Center. 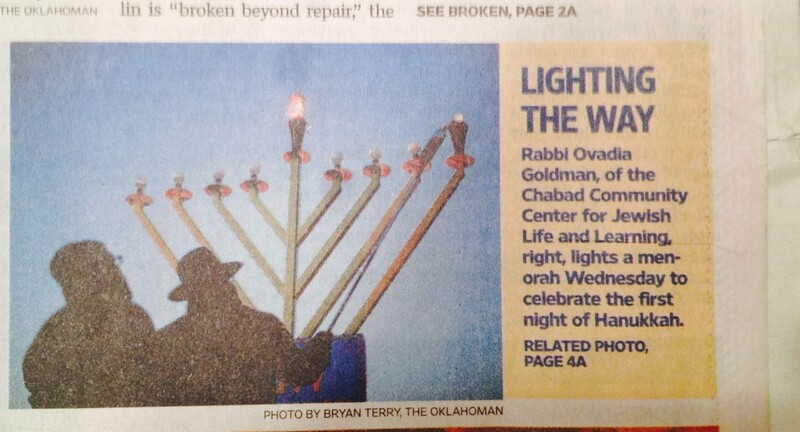 It was fun reading about so much history and tradition, and speaking with the rabbi about it – he was featured on the Oklahoma City paper the next day (Thanksgiving), shown lighting the downtown Feast of Lights candles! What are your favourite introductions to the season?